We definitely loved the design and color, the only problem we encountered with this produc is the extremely bulky base that elevates the seat to much and makes it a little bit of a challenge to get your baby in and out of the vehicle specially if you have a tall kid. ConsBase is to bulky takes to much space and elevates the sit way to much. This car seat is totally awesome! I love everything about it! The color is gorgeous, my little grandson seems very comfortable in it and Recaro safety is superb! This is my third Recaro car seat and they haven't disappoint me yet. The car seat is built solid and appears to protect my child from various directions. My order from Albeebaby was easy and it arrived pretty quickly. We Love the car seat - you can take all the covers off with care and washes really well. Make seat belt adjustments as the child grows and safety features are top notch. Bought this car seat for my niece...it's my brother first child and he did research and found that online the product was the BEST car seat for our princess!!! But seeing it in person and having it installed and in the car was great...the car seat is the BEST wish i would have had one for my princess when she was much younger. Thank you Albee for all that you do...I always shop at your website.. You guys are AMAZING!!! Love the color vibe. I have two of these seats and find them to be the best value out there. Easy to adjust overall. I appreciate my toddler can sleep and his head stays properly positioned because of the hero shoulder straps. 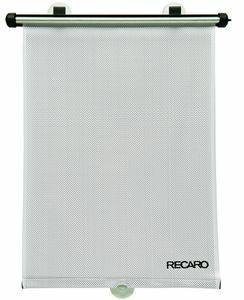 I believe reccaro reputation in the racing industry holds true on their children's car seats. My husband loves this carseat and I love the features! Love this car seat. It is quite large, so might not work in smaller cars, but it works perfectly in our Sienna minivan. My son loves being up high and able to look out the window. Straps are easy to use. I bought this Recaro for my daughter after reading multiple website reviews and I couldn't agree more, this car seat is excellent. My daughter sits high enough in my Ford Flex where she can see everything around her. Safety is great, the straps never get tangled, and she can't undo the lock and get out. We made the mistake to purchase the Evenflo car seat for my husbands car and we absolutely detest it. It is so bulky and hard to position and put in his car. Now with our second baby on the way, we bought another Recaro without hesitation. It's very comfortable and easy to click the seat belt. The Recaro car is a excellent car seat and at a great price. Well made,great looking and excellent safety ratings. This Recaro is upgraded since the one purchased 2 1/2 years ago for our first grandchild. The car seat purchased previously is very nice, this new one we bought for our second grandchild. This came with improvements over the first one, making it like the Cadillac of car seats in the eyes of her mommy and daddy. This is just what my daughter wanted and delivery was so fast!! 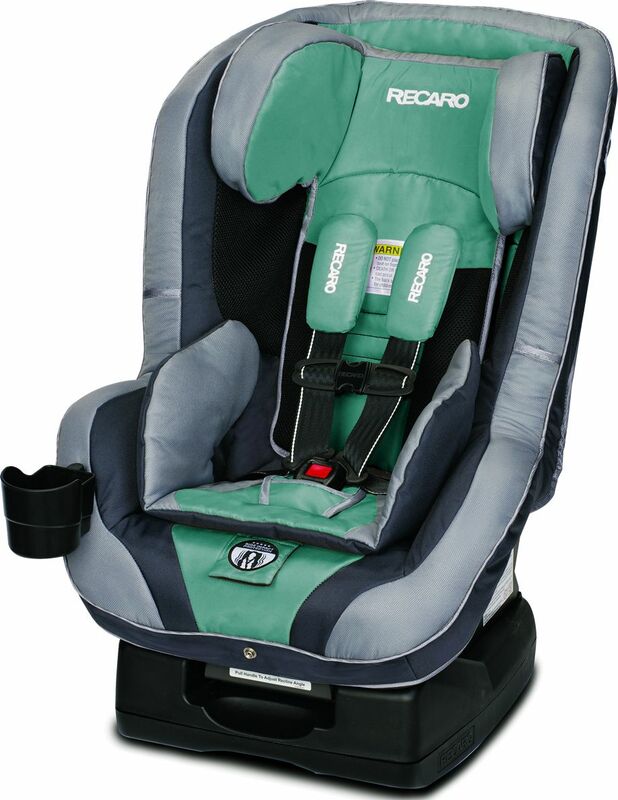 PERFECT FOR A LITTLE ONE, SOFT, COMFORT AND SECURE SEAT, LOVE RECARO BRAND. Good product! I am very happy how comfortable this car seat is. My boy seems love it every time we put him into the seat. The car sear is tall so that babies can see views through the rear and the side windows. ConsInstallation is quite straightforward, but the manual is a little bit confusing. It did took a while for me to figure out how to use the latch probably because it was the first time for me to install a convertible car seat. It's a tad big but he seems so much more comfortable. Its easy to operate and it was pretty easy to install. so far we have only used it for 2 weeks but our daughter loves the car seat. for us it was easy to installed also. I just ordered this car seat for my daughter and it's awesome. Not only is it one of the safest seats you can buy and good looking, but it is super easy to use. It took no time to set up the LATCH system, and I'm a newbie at car seats. The stars are super simple to adjust, and she loves sitting in this car seat. She's happier riding in the car than almost anything else. I am extremely happy with this car seat. ProsEasy to use. Comfortable. Extremely safe. Best UsesIn any car for the look, ease of use, and child's comfort. Have taken a long time to compare between Recaro, Britax and ask for suggestions from my friends in Germany, finally I decide to have Recaro because it is generally recommended by most of families in German and have a very good evaluation. The quality is really good and fit very well with my Nissan car with Latch fix. Sturdy, and I can tell it is safe for my baby. Quite large but still fits okay in my mini cooper.It is well made and my baby seems comfy in it. Under 49 inches when seated for forward-facing. Introducing the RECARO Performance RIDE with the HERO harness system. HERO is a new, exclusive and innovative safety feature by RECARO. HERO ensures the highest level of protection and comfort by positioning the shoulder pads to appropriately fit the child's neck, head and shoulders while resisting harness twisting and ensuring proper chest clip positioning. The Performance RIDE includes the RECARO Safety Stripe System, which is a racing-inspired white stripe that is clearly visible on the outside edge of the 5-point harness. This stripe is designed as an easy alert to parents that a twist could occur, or has begun, thus preventing a safety hazard. Additional features include added mesh for breathability, improved comfort pad with memory foam, a cup holder and stylish trim details. The Performance RIDE Convertible Car Seat has twist-resistant straps and a 5-Point harness system that holds children from 5 to 40 pounds rear-facing or 20 to 65 pounds forward-facing. It incorporates RECARO Side Impact Protection technology inspired by four decades of racing seat safety. All Performance Series RIDE seats now include HERO- a new, exclusive and innovative safety feature by RECARO. HERO ensures the highest level of protection and comfort by positioning the shoulder pads to appropriately fit the child's neck, head and shoulders while resisting harness twisting and ensuring proper chest clip positioning. 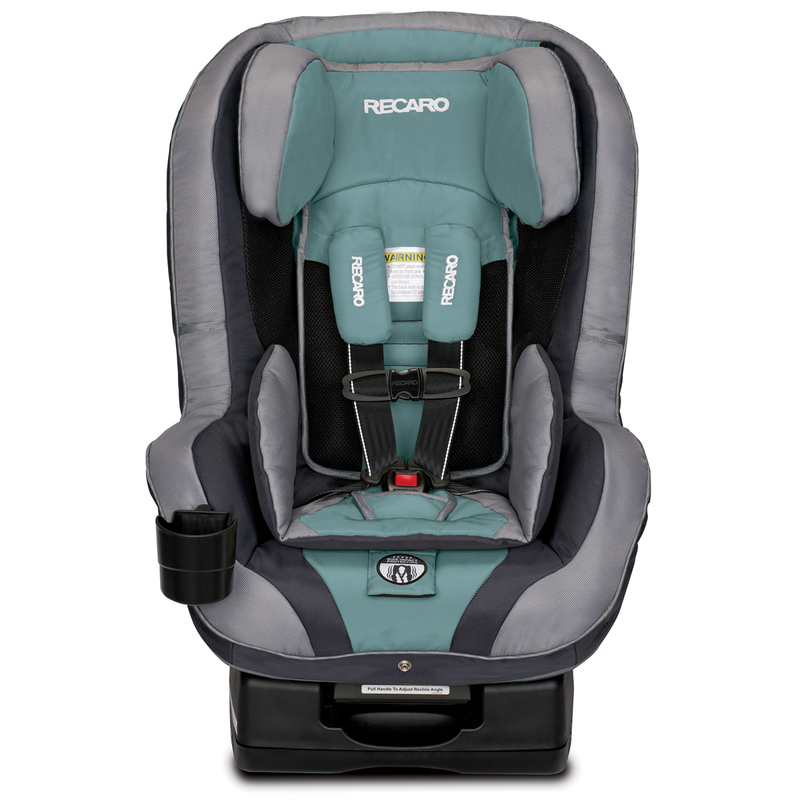 Tested to international standards, the RECARO Performance RIDE offers an intelligent design that protects a child during a side-impact incident. The car seat's enhanced head wings shield the head and face while a head rest limits neck movement. For added safety, reinforcements at the sides, hips, and thighs help stabilize the torso and pelvis areas. Featuring an ergonomic shell structure that offers support for your child’s body, the car seat is pleasant and cozy for short errands or long road trips. The harness system features soft pads to make it more comfortable for your child. The head restraint is designed with protective and comfortable PUR foam for extra padding and added protection. For comfort and safety, the soft, cushiony car seat is made with expanded polystyrene foam (EPS) that absorbs external forces while providing your child ample room for growth. The seat cushion is also equipped with a memory foam seat pad for enhanced comfort. The EasyAdjust, 5-point harness can be customized to properly accommodate your growing child. It adjusts with a simple turn of a knob without the hassle of rethreading any straps. TrueLock belt lock-off prevents any slippage from your vehicle's seat belt when used forward-facing. Designed with a push-button LATCH system, the car seat is easy to secure to your vehicle. The car seat offers a universal top tether system as an added anchor (for forward-facing). The rear-facing recline lever allows you to adjust the seat to best fit your vehicle's backseat. For no-fuss care and maintenance, the Performance RIDE car seat comes in a variety of easy-to-clean fabrics and colors. The luxurious, temperature balancing fabrics offer superior comfort and have an alluring, stylish design. The four zones of CoolMesh Air Ventilation provide an air circulation system that will keep your child cool and comfortable during a ride. The car seat offers convenient storage pockets to keep the loose ends of harness belts tucked neatly out of the way for ease of placing your child into the car seat. 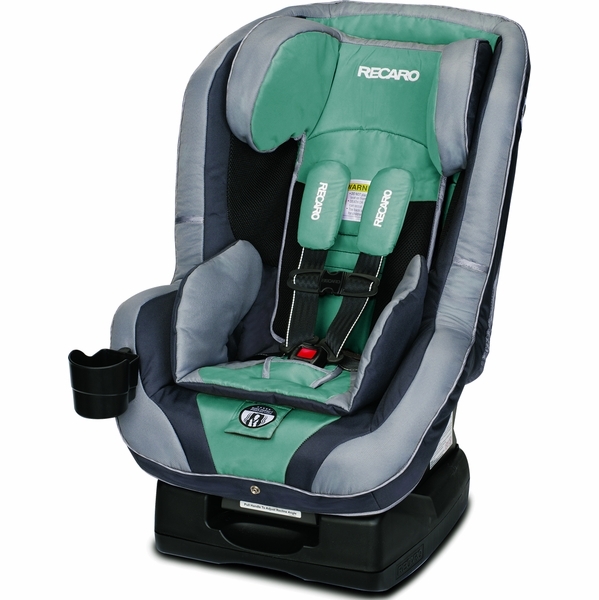 The RECARO Performance RIDE Convertible Car Seat is backed by a limited one-year warranty.